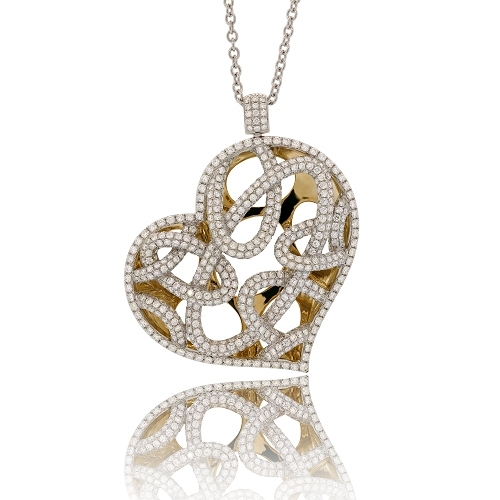 Detailed heart pendant with oval interlocked link design encrusted with diamonds set in 18k two-tone gold. Diamonds approx. 10.85ct. Pendant 2.25"